This blog will focus on basic setup of Smart Data Access (SDA) and then outline some problems that customers have encountered. Some of the issues outlined in the troubleshooting section come directly from incidents that were created. There is already a lot of information on Smart Data Access which this blog does not aim to replace. Throughout the blog, I will reference links to other documentation that can cover the topics in more detail. What is Smart Data Access (SDA)? 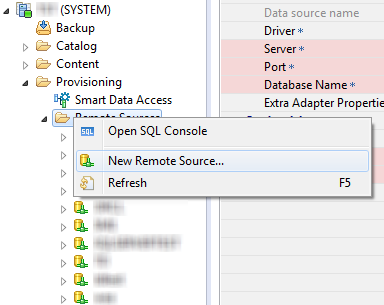 This allows it so customers do not have to migrate or copy their data from other databases into a SAP HANA database. 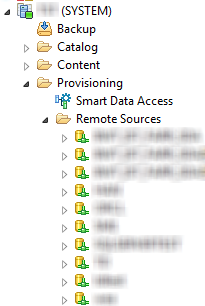 Smart Data Access was introduced in SAP HANA SP6, so if you intend on using SDA be on at least this revision. What Remote Sources Are Supported (As of SP8)?